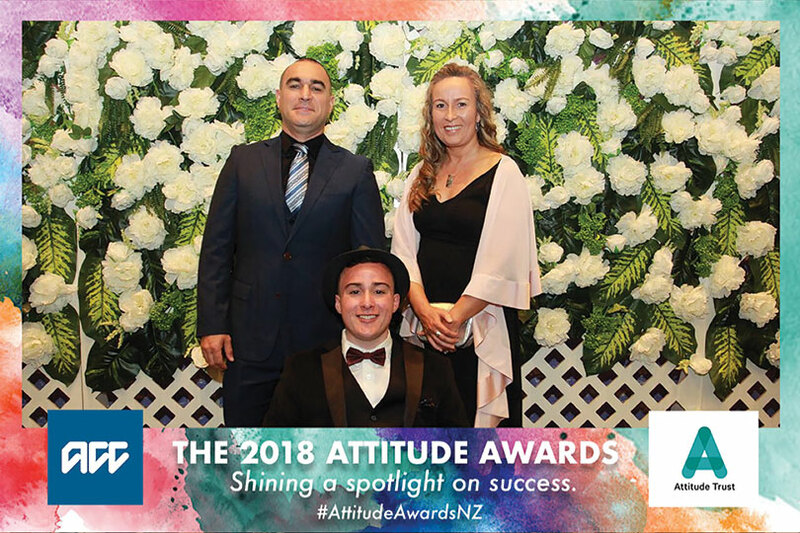 In November 2018 Colleen Brown (Ngāi Tahu – Ōraka Aparima) was inducted into the Attitude Hall of Fame at the Attitude Awards, an annual ceremony celebrating the achievements of New Zealanders living with disabilities. Colleen received this honour in recognition of her contribution to the disability sector over the last 38 years, and is determined to use the award to continue to fight for equality and inclusion – and she is calling on her iwi to support her. Nā ANNA BRANKIN. Above: Colleen Brown celebrating with her son Travers after being inducted into the Attitude Hall of Fame. Colleen knows all about these challenges. She and husband Barry have four adult children and six mokopuna. Their second child, Travers, has Down syndrome – a genetic disorder that occurs when cells contain an extra chromosome number 21, causing delays in learning and development. This determination has paid off. These days, Travers is thriving. He flats with three of his friends. He goes to the gym, where he cleans the staff facilities in exchange for a discounted membership. He volunteers at a local op shop and has recently joined a tenpin bowling league. 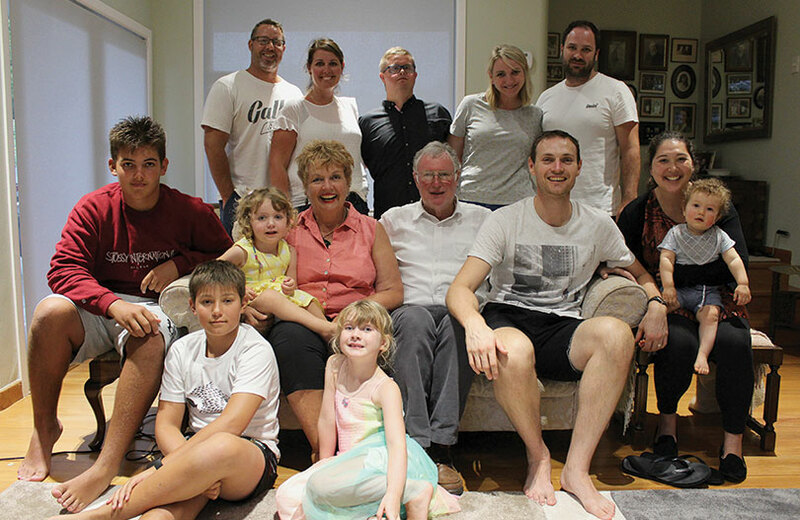 Colleen describes it as a wonderful life, and one that she didn’t necessarily envisage when she first became aware of the challenges associated with his diagnosis. When she realised that Travers – and other children living with disabilities – were going to face prejudice and exclusion throughout their lives, her “social justice identity” came to the fore and her voluntary career as a disability advocate began. Above: Colleen and her whānau. Back row L-R: Olivia Brown, Travers Brown, Julia Finlayson, Asher Finlayson. Middle row L-R: James Brown, Emma Finlayson, Colleen Brown, Barry Brown, Jordan Brown, Grace Brown, Ryan Brown. Front row L-R: Cameron Winiata-Brown, Kate Finlayson. Absent: Georgia Brown. 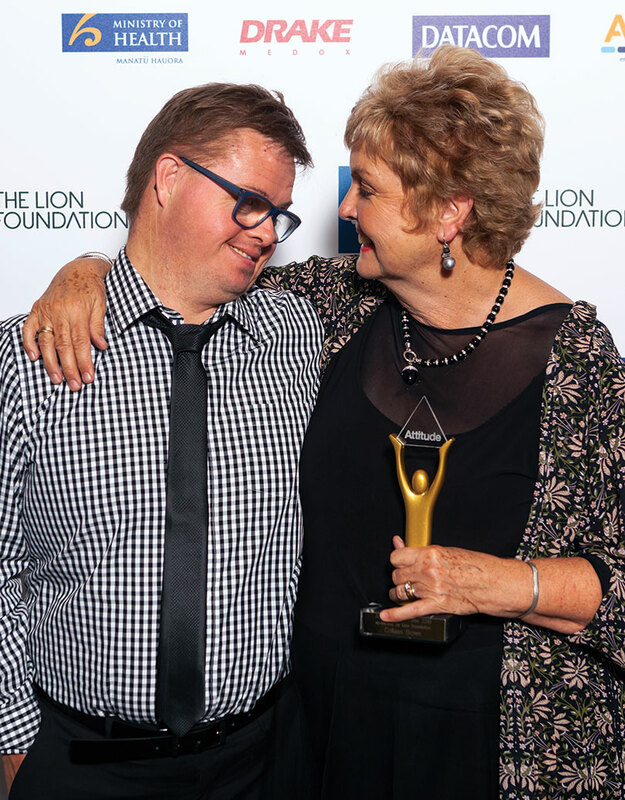 Over the last 38 years, Colleen has created change by helping to found and chair the New Zealand Down Syndrome Association. She also holds senior governance positions in local government, the disability sector, and health; and is currently serving her fourth term as an elected member of the Counties Manukau District Health Board. She has completed her Master of Education and has published numerous reports on disability and education, and today chairs a number of community-based boards and organisations including Disability Connect, a support service for families based in Auckland. What drives her? A determination to make sure every child living with a disability has the same opportunities that she was able to give Travers. “I have a background in teaching, I’m well-educated, I have support and contacts that I’ve built up over the years,” Colleen says. Often, the answer to that question has been “go and see Colleen.” If a disabled child is declined enrolment to school or not provided with enough funding, the parents can take a case against the Ministry of Education under Section 10 of the Education Act 1989. Over the years Colleen has worked with parents on a number of Section 10 appeals, a time-consuming and frustrating process that has opened her eyes to the shortcomings of the system – and in particular, to the negative statistics that affect Māori whānau. Above: Kiringāua Cassidy with parents Komene Cassidy and Paulette Tamati-Elliffe at the recent Attitude awards. A report released in 2014 by the Disability Convention Independent Monitoring Mechanism found that there was social exclusion and poverty, particularly among disabled Māori and Pasifika children. It also found that Māori children with disabilities have greater difficulty accessing some government services, including health and education services. These findings are in keeping with what Colleen has witnessed throughout her involvement in the disability sector, and she is challenging Ngāi Tahu to create a solution to this systemic problem. For Kiringāua Cassidy (Ngāi Tahu – Ōtākou), these statistics are a reminder to appreciate the support and opportunities he has had. The 16-year-old has spina bifida, a structural defect in the base of his spine and has used a wheelchair since childhood. Much like Colleen and Barry, Kiringāua’s parents – Komene Cassidy and Paulette Tamati-Elliffe – have endeavoured to give Kiringāua the same opportunities as the rest of their children. 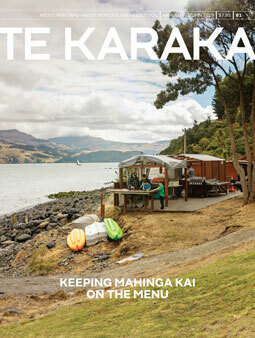 Like Travers, Kiringāua is thriving. He was a finalist at last year’s Attitude awards in the Youth Spirit category. He is currently training in the hope of being part of New Zealand’s ski team at the Winter Paralympics in 2022. He is a fierce kapa haka competitor, and last year placed second in the Junior Māori category of Ngā Manu Kōrero, the national speech competition. Komene agrees, saying that a change in attitude is critical to addressing prejudice in the disability sector. “Language is a big part of it. Kiringāua isn’t suffering from his disability. He’s living with it. If anyone is suffering from their disability, then that’s an issue and we should address it,” he says. 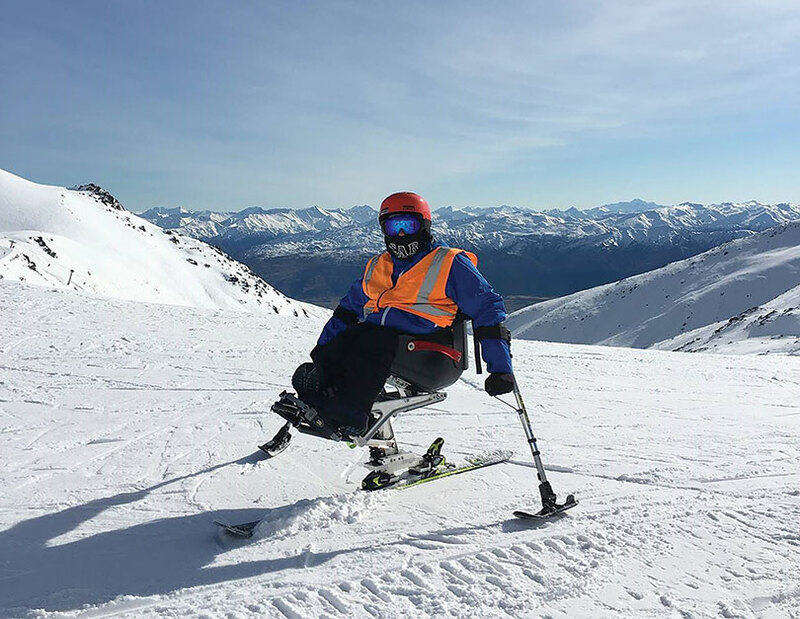 Above: Kiringāua pursuing his dream of qualifying for the New Zealand ski team at the Paralympics. For Colleen, that investment needs to be in addressing the key challenges of accessibility and poverty. “Ngāi Tahu has got to capture the most marginalised of our whānau – and those are our whānau who are affected by disabilities,” she says. “We need to ask these families what support they need most – whether it’s advocacy, social work, or funding. In the disability sector we have a saying: nothing about us, without us. It’s the same for Māori – we need to create a solution that is held by Māori, for Māori. “Ngāi Tahu has to lead this discussion. The thing that Ngāi Tahu has to offer all of its parents is hope – that somebody cares, and that we’re listening,” Colleen says.